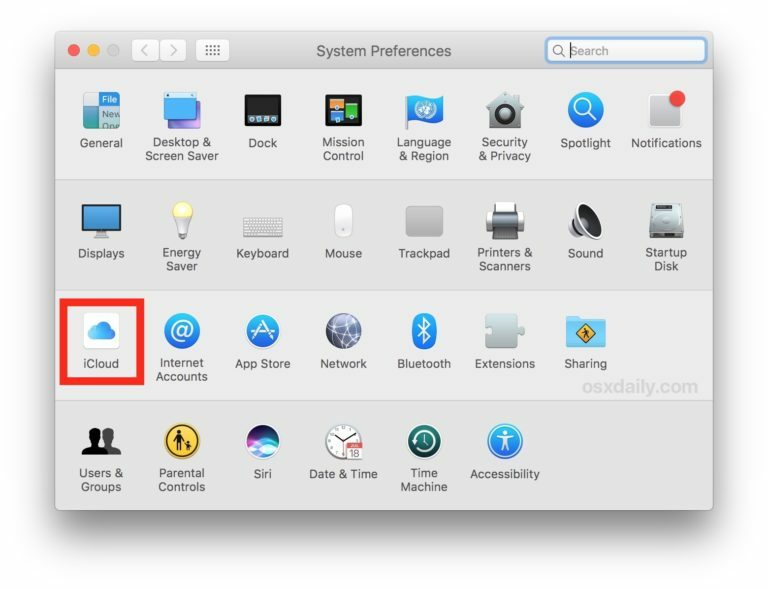 Have you unintentionally used an Apple ID or logged into an Apple ID on a Mac that isn’t yours, or perhaps that you don’t want iCloud access on? If so, you may wish to remove that Apple ID and iCloud account from that Mac. Similarly, you may want to delete an Apple ID from a Mac if you’re intending on changing the Apple ID in use on that computer for whatever reason. This article will show you how to remove an Apple ID and iCloud account from a Mac. Warning: Keep in mind that deleting an Apple ID and iCloud account from a Mac may result in unintended consequences, including loss of data, loss of Contacts syncing, loss of Notes syncing, an inability to use apps purchased or downloaded with a different Apple ID, an inability to access music purchased with a different Apple ID, and much more – if you log out of the Apple ID associated with all of that, then none of that data will be accessible on the Mac unless that Apple ID is used again. Thus you should not casually delete an Apple ID or iCloud account from a Mac. It’s a good idea to backup a Mac before modifying any important system settings like these, skipping a backup could result in unintended data loss. 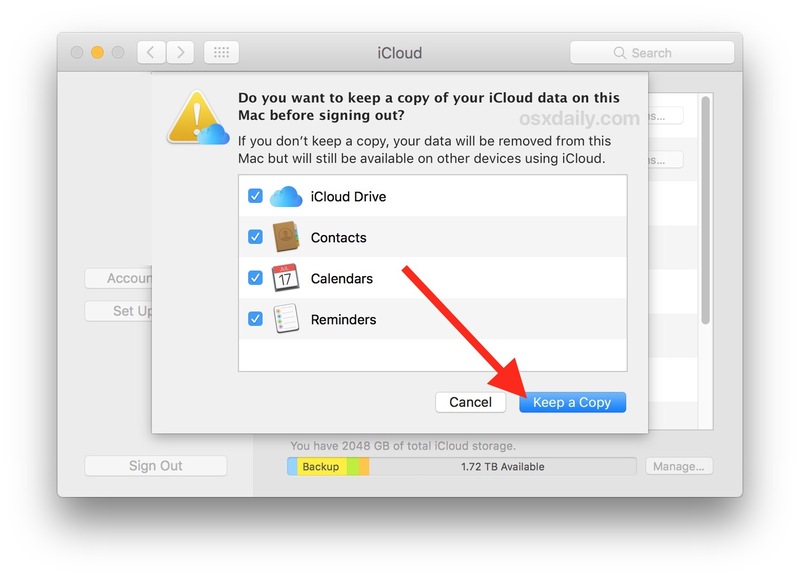 * If you’re aiming to remove iCloud data as well as an Apple ID and iCloud account from a Mac, you may not want to choose “Keep a Copy” but that is ultimately up to you. Note that failure to do so may result in permanent data loss. Once you are logged out of the Apple ID / iCloud account, the Mac will no longer have any of the iCloud features, files, or other Apple ID related data available to it (unless you then logged into a different Apple ID of course). This is a good step to take if you’re selling or transferring ownership of a Mac to someone else, as you wouldn’t want the older compute still showing up on your Apple ID and iCloud account if it’s no longer yours. Keep in mind it’s unnecessary to manually delete an Apple ID from the Mac if you’re simply aiming to erase and reset a Mac to factory settings, perhaps to sell it, or give to someone else, because that reset process will also delete any Apple ID accounts from the computer. But you probably would want to remove the computer from the Apple ID account as instructed. While the vast majority of Mac users should be using an Apple ID with their Mac, since an Apple ID functions as basically the login gateway to the entire online Apple ecosystem including iCloud, iTunes, and the App Store, some Mac users also may want to have a Mac that has no iCloud functionality or Apple ID related data either, perhaps because it’s a public workstation or some other community device. That would be another situation where deleting an Apple ID from a computer could be reasonable, but otherwise this is something you should not take lightly. It’s also worth pointing out that if you’re aiming to delete an Apple ID from a computer because it’s outdated or your email address changed, you would want to change the email address associated with the Apple ID and then use that for the login. An Apple ID is really an important component of using a Mac or iOS device within the Apple ecosystem, giving full access to any of the iCloud environment, App Store, iTunes, iCloud files, photos, Contacts, Notes, and so much more. With that in mind, you will want your own unique Apple ID for your own personal use, as they are not intended to be shared (even with family, each family member, partner, spouse, etc, should have their own unique Apple ID). 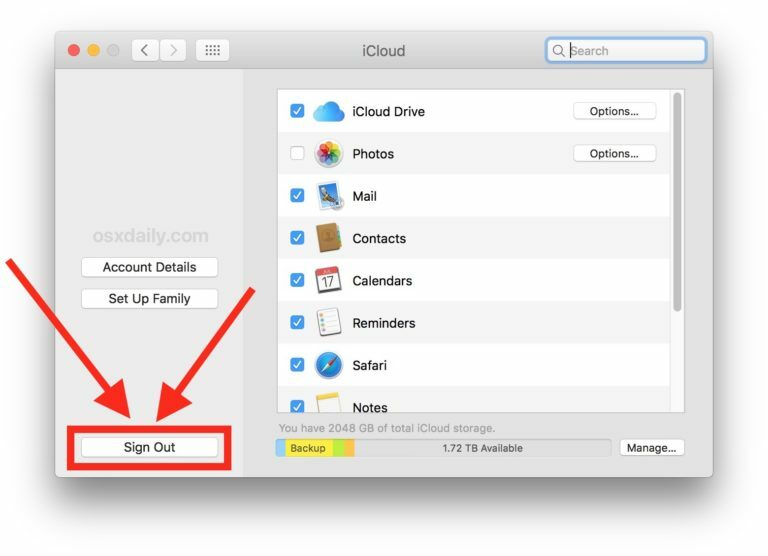 If you’ve been in the situation where you were previously sharing an Apple ID with a partner or child, then it would be reasonable to backup the computer/devices, create a new Apple ID for the other person(s), and then log out of the shared Apple ID and then back into a unique Apple ID for each person. Just don’t skip over the fact that removing an Apple ID from a Mac can potentially delete files, contacts, notes, and other data you may not intend to remove, so back that data up and keep a copy of it if you’re concerned. Any questions, comments, experiences, or thoughts about removing or deleting an Apple ID from a Mac? Share in the comments below! This entry was posted in iCloud, Mac OSX. Bookmark the permalink.